CARFAX One-Owner. Priced below KBB Fair Purchase Price! 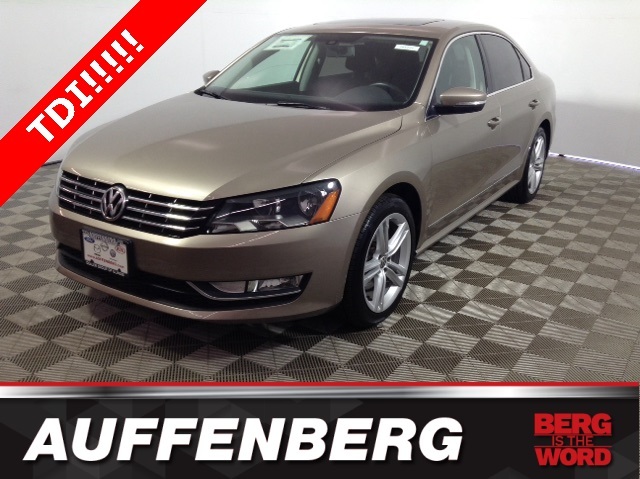 Located at Auffenberg VW 1708 New Car drive Ofallon Il 62269. 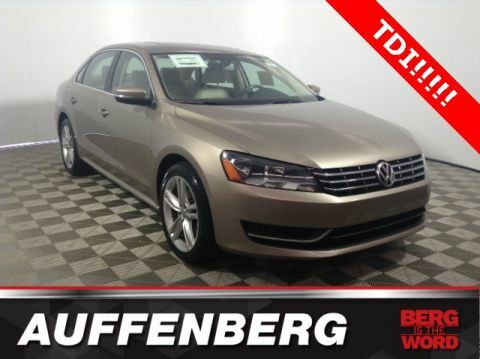 Low Miles, ***ONE OWNER, CLEAN CARFAX, ***LOW MILES, Backup Camera, Bluetooth, Hands-Free, Passat TDI SE w/Sunroof, 2.0L TDI Turbodiesel, Cornsilk Beige w/Vienna Leather Seating Surfaces, Alloy wheels, Exterior Parking Camera Rear, Heated door mirrors, Heated front seats, Power door mirrors, Power driver seat, Power moonroof, Remote keyless entry, Variably intermittent wipers. 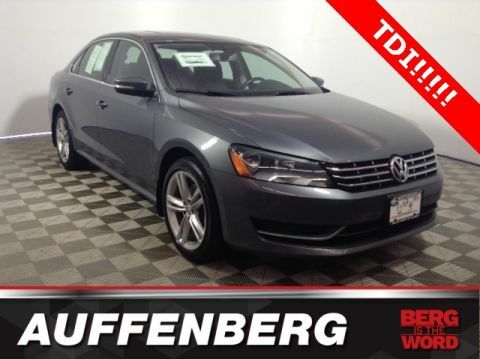 2.0L TDI Turbodiesel Odometer is 23737 miles below market average!